Lasting Looks Anti Aging and Laser Clinic has been providing Botox to our patients for over 16 years. 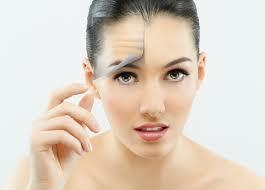 The duration of Botox effects lasts various amounts of time depending on the person and the area it is used in. Botox typically lasts 3-4 months. Some people metabolize it more quickly than others. The average person will notice the effects of Cosmetic Botox beginning to diminish within 3-4 months. Some patients however may find that the effect of Botox Cosmetic lasts longer than average. How do I know it’s time for another treatment with Botox Cosmetic? With Botox the effects wear off slowly and you will notice that as time goes on you are starting to get more movement in the area that was treated and the original dynamic wrinkles start to reappear.. It is always best to repeat your treatment before full movement of the area is restored to avoid lines from deepening.